Previously sold at Sotheby's London, 13 November 2002, lot 129. For the Ming prototype of this vase, see the example with very similar proportions and with a Xuande mark from the National Palace Museum, Taiwan, illustrated in the Catalogue to the Special Exhibition of Ming Xuande Ceramic Wares, Taiwan, no. 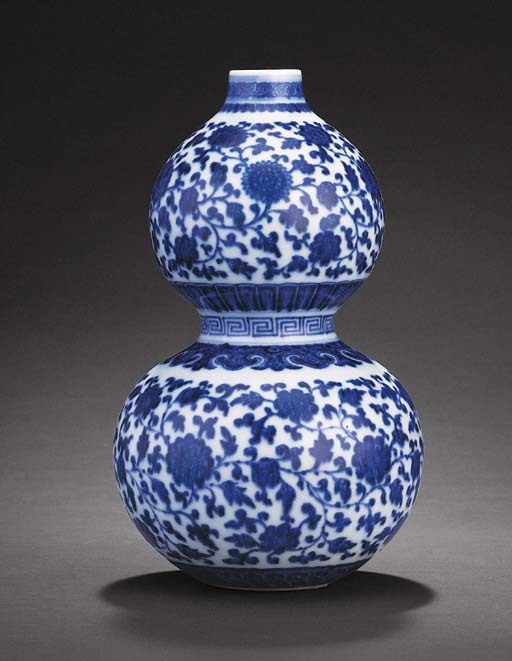 4; an unmarked vase from the Edward T. Chow Collection, sold at Sotheby's Hong Kong, 19 January 1981, lot 414; and another illustrated by Takushin Kushi, Shina Minsho Tojizukan, pl. 58.